Terrible ideas never really die on the Left; they just come back over and over again, like a gas station sandwich after a night of heavy drinking. So it is with reparations for slavery, which liberals would happily embrace en masse if they ever thought they could ram it through Congress. Here's why reparations for slavery are a bad idea. 1) How do you prove that slavery is responsible for problems black Americans are having today? If it were 1866, it would be easy to prove that black Americans who had been enslaved were hurt by the practice. They were mistreated, deprived of their freedom, and were not paid wages for their labor. On the other hand, if you fast forward to today, it’s extraordinarily difficult to show that anybody’s problems were caused by something that happened almost 150 years ago. Keep in mind that there were white indentured servants forced to work alongside slaves back then. There were white Americans who were kidnapped and enslaved by the Barbary pirates. There were Japanese and Italian Americans who were forced into internment camps during WWII and many of them actually had their property confiscated and sold. The relatives of many Jewish Holocaust survivors live in America as well. So while black Americans have been treated worse than any other group in America, there are a lot of other groups that have seemingly bounced back with little damage from how they’ve been treated in the past. Additionally, while black Americans are indisputably doing worse than most other groups in America, there are certain subsets of African-Americans that are doing just fine. For example, black female college graduates make 102% of what white female college graduates earn. African immigrants also outperform black Americans who were born here in a number of ways. A new paper (pdf) from University of Chicago PhD candidate Alison Rauh finds that black immigrants tend to be more successful than black Americans. They out-earn black natives (after accounting for age) and are more likely to be employed. This is not surprising; white immigrant groups outperform their native cohort too. But what’s most intriguing is how their children fare. The children of black immigrants are more likely to go to and complete college than native blacks (and whites) and are less likely to drop out of high school. The children of black immigrants also earn more than native blacks or first generation immigrants. If there are certain subsets of black Americans who are doing well, that suggests that there is no one universal factor like slavery that can be blamed for the difficulties black Americans face. 2) Who would pay reparations? If John Smith gets drunk, runs a stop light, and hits the car of Susie Jones, we know who's at fault. It's John Smith. We also know that Susie Jones is the injured party. We can look at the damage to the car, injuries to Susie Jones, and costs she had to bear because of the wreck and get a rough idea of damages that she sustained because of John Smith's behavior. How do you make any of those determinations with reparations? 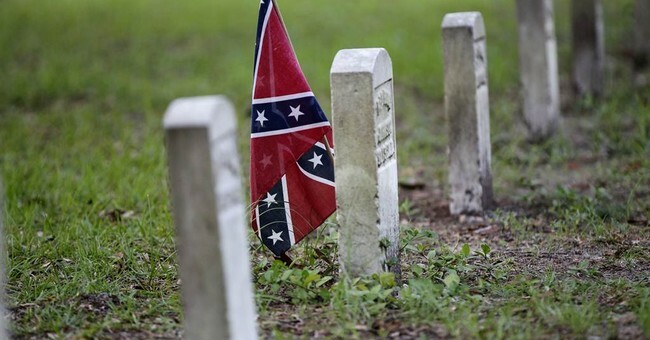 The Civil War ended in 1865; so all the slaves and slave masters are all long dead. Moreover, even in the South, depending on which numbers you believe, somewhere between 80-95% of white Americans never owned slaves. There were also several thousand BLACK AMERICANS who owned slaves -- yes, really. Certainly they would be more responsible for slavery than a white man who didn't own slaves, right? Getting beyond the South, why would a white northerner from a state that didn't have slaves owe "reparations" for slavery? For example, what wrong would a Republican abolitionist -- who hated slavery, voted for Abe Lincoln, and fought in the Civil War -- have done that would require "reparations?" We don't hold people responsible for what their ancestors did and even if we did, most white Americans, even in the South, didn't own slaves. So 149 years after the Civil War ended, there simply is no way to hold the people responsible for slavery accountable for what they did. Victimizing people who did nothing wrong today to make up for a wrong that was done 150 years ago wouldn't make anything right. 3) Who would receive reparations? There are no living slaves; so it's impossible to compensate the people who were hurt by the cruel and oppressive practice of slavery. So, would we compensate black Americans in general on the theory that slavery has held them back? Blaming the economic problems someone has today on something that happened to his ancestors almost a century and a half ago seems like one heck of a stretch, but let's say we buy into the argument. What do we do about people like Barack Obama and Tiger Woods who are of mixed heritage? Would Obama pay reparations to himself? Would a black man who immigrated to the United States a decade ago be eligible? What about incredibly wealthy black Americans like Oprah Winfrey, Michael Jordan, and BET's Robert Johnson? Why should some white middle manager in suburbia be asked to kick in money for them? These are the sort of thorny questions you have to wrestle with when you're talking about "reparations" as opposed to a communistic "From each according to his ability, to each according to his needs" transfer of wealth from one group of people to another, which is really what most people who support reparations seem to want to see happen. 4) It focuses on the wrong solution: Just giving people money seldom helps to fix their problem. That’s why America’s “war on poverty” has been an utter and complete failure. After doling out more than 21 trillion dollars over the last 50 years, we’ve done nothing to reduce the poverty rate. In fact, it’s entirely possible that the poverty rate would be LOWER today if there had never been a “war on poverty.” You can see this same dynamic with aid to Africa. After handing out more than a trillion dollars, much of the continent has gone BACKWARDS over the last 10-15 years. Even winning the lottery doesn’t tend to make a generational impact. Of course, that doesn’t mean we shouldn’t do anything. No American should have to live in an area where he’s afraid to let his children play in the yard because drug dealers sell openly on the corner. Terrible inner city schools disproportionately impact black Americans. That’s why school vouchers and charter schools disproportionately benefit them. Slashing tax rates in depressed areas down to almost nothing would encourage businesses to move in and would help black entrepreneurs. Micro-loans could help aspiring small business owners to get on their feet. Helping black Americans to help themselves would do more to create success and prosperity than any giveaway program ever could. 5) The government has already paid out an enormous amount of “reparations:” Just to give you an idea of how common slavery is in human history, keep in mind that the Brits who brought American colonists here kept slaves. The Indians we took the land from kept slaves. Our neighbors to the north and south (Canada and Mexico) kept slaves. We acquired slaves from nations in Africa that kept slaves. Many of the slaves that ended up in America were captured by Middle Eastern slave traders who also kept slaves. Even some white Americans were enslaved by the Barbary pirates. Still America had a particularly large and thriving slave trade and we’ve already paid an enormous price as a nation for it, starting with the 625,000 Americans who died during the Civil War. Keep in mind that America had a population roughly 1/10 the size we have today; so that would be the rough equivalent of 6.25 million Americans dying today. As a point of comparison, the 2nd term of the Bush Administration was practically destroyed by less than 4,500 military deaths in Iraq. Additionally, although whites make up the majority of Americans on welfare, percentage wise, roughly twice as many black Americans take government assistance as white Americans. Additionally there are Affirmative Action programs and racial set-asides that discriminate against white and Asian Americans to make it easier for black Americans to get jobs and get into college. So, when you add it all up, hundreds of thousands of Americans have died, numerous special programs have been created for black Americans, and trillions in government assistance have already been paid out. Other than Great Britain, there’s no other nation on Planet Earth that’s done even a fraction of that much to make up for engaging in slavery. So, if anyone wants reparations, it would be fair to say that they’ve already been paid.